Two more days until I can reveal the winners! This is so exciting for me. 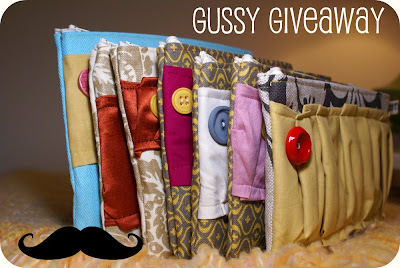 As some of you remember, the last time I offered this style of giveaway there was one winner (she received 72%-off). I remember feeling SO EXCITED over that. Can you even imagine how I feel over the current 140 comments? The way I feel is un-type-able. It’s better than bliss… As of today there will be two winners. One will receive an item at 100%-off, the second will receive one item at 40%-off. Remember… in-stock items only, and the baby blankets are excluded. 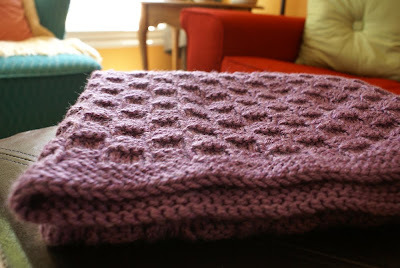 These blankets are knit by my mom! There are so many going on and the best way to inform you always of all sales is to visit the box at the top of my blog, beneath the header and to the right just a tad. 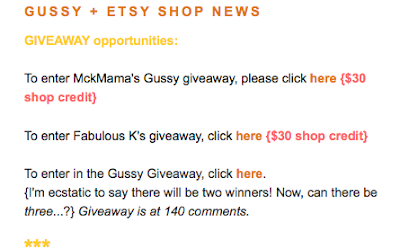 See the section called GUSSY + Etsy shop news? Be sure to read that section of my blog daily. Some times I post surprise information in there! Fabulous K, and me yappin’ my mouth} that I haven’t sewed these pretties together… yet. 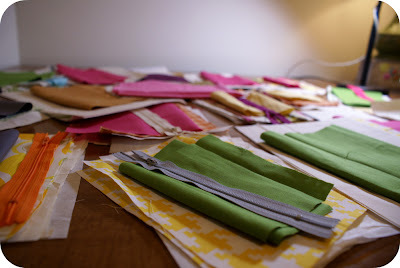 Instead, I’ve been blogging, emailing, and packaging orders! And setting up custom orders. Like a wallet with 10-12 debit/credit slots + two pockets, and a diaper bag + coordinating travel wipe case. One is accented with a raspberry ruffle, the other with turquoise and chartreuse.